Texaco is an American oil company that owns both the titular brand and the Havoline motor oil brand, and is a part of the parent company Chevron Corporation. Brand locations generally offer gasoline pumps and convenience stores, while some also include carwashes and car repair shops. To find out more about how to apply for jobs at Texaco, a Texaco application link can be found below. The company, whose name is a shortened form of “The Texas Company”, was originally founded in Beaumont, Texas, by four entrepreneurs looking to take advantage of the discovery of oil at Spindletop. It became the first truly national brand of gas stations, as it was the first and only brand for a long time to operate in all fifty states and Canada. It was an independent company until 2001, when it merged into the Chevron Corporation. Texaco’s website cites a commitment to innovation, quality, and performance. It expresses the importance of looking to the future without forgetting about the lessons of the past. 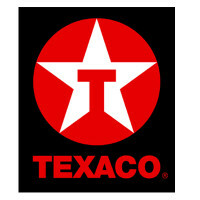 While it is an international company with considerable operations abroad, Texaco identifies strongly as an American company dedicated to American values. Currently, the company is very active in the US, Latin America, and western Africa. It is also fairly active in Europe, especially in the UK. With such a large base of operations, Texaco is always hiring: at the bottom of this article is a link to find out more about how to apply for jobs at Texaco. Texaco jobs range from entry-level retail positions at locations throughout countries of operation to high level corporate careers. Local retail job opportunities are not handled through the online application system: if you are interested in working at a particular location near you, your best bet is to go to that store and ask if there are any open job opportunities, or how to apply for Texaco online for that particular store. If you are interested in a more specialized career with Texaco, all such applications are handled through their direct application system online. Each job listing contains experience requirements and a job description that includes the responsibilities of the position. Corporate Texaco careers are open to a variety of experience levels; just submit an application form through their website if you find one that fits your background. How old do you have to be to work at Texaco? You must be at least 18 years old to seek employment at Texaco. Many of the higher level jobs require Bachelor’s or Master’s degrees, or a degree of relevant experience. Gas station locations may be open as much as 24/7, and may be hiring for any of those shifts, while more specialized jobs have more restricted hours of operation. Texaco jobs come with a number of benefits that any given employee may qualify for. It offers two to six weeks of paid vacation, depending on how long you’ve been with the company, as well as paid and unpaid leaves of absence. It also offers flexible schedules, a variety of health benefits, reimbursement of expenses for dependents or adoptions, and more. Customer Service Representative – Customer service representatives are responsible for the day-to-day running of the store, including assisting customers, stocking shelves, keeping the store clean and tidy, and completing transactions quickly and accurately. They may also be called clerks or cashiers, and the position is accessible to all experience levels. Pay usually ranges from minimum wage to about $9 per hour. Station Manager – As in any retail store, station managers are responsible for the administrative work of running the gas station. They must resolve customer complaints and serve customers when necessary, schedule their cashiers to make sure all hours are covered, ensure opening and closing procedures are completed correctly, and more. Station managers generally make around $40k per year in salary. Administrative Assistant – Hired through the main Chevron site, administrative assistants are a key part of the team. They are responsible for managing expense reports and p-card purchases, maintaining financial records, scheduling and coordinating training and events, and more. Most administrative assistant positions require previous experience in a similar field. This position makes about $60k a year. Process Engineer – Process engineers provide support daily and long-term for monitoring, economic benefit analysis, and design of process units within Chevron refineries. They are also the first line of technical response when an issue arises, and are responsible for preparing solutions for such problems in advance so they can be solved quickly and efficiently, as well as a number of other responsibilities. Process engineer salaries ballpark around $100k a year. What appeals to you about working at Texaco? This question has many purposes: it is meant to suss out how committed you are to the company, as well as that you have looked into the company enough to know what you are getting into. Make sure to do the research beforehand so that you can answer this question clearly and without hesitation. How flexible is your schedule? In hiring for open positions, especially at local gas stations, this is an important question to determine whether you are able to cover some of the less desirable overnight shifts. Many places have a policy where each employee is required to cover at least one overnight, so be ready with your availability when this question comes up. Where did you first hear about the gas and oil industry? The interviewer is interested in finding out your priorities, as well as a little more about you than might be discussed in your resume and cover letter. In answering this question, it is okay to restate some information that was in your written materials, but try to also include some personal touches. Where did you hear about this job opening? This question is more about the company than about you. The interviewer wants to gather information about how their marketing is working, and how most people hear about the jobs they need filled. Your answer reflects less on you than with many other questions, but do have an answer prepared so you can answer this quickly and clearly. What most appeals do you about this job? Pick something from the job description that particularly piqued your interest that can help explain why you are interested in this job in particular. This is a way to suss out your interests and priorities, so the interviewer can better tell whether you will be a good fit. Like many current employers, Texaco does not have a printable application form, and you cannot download application form to complete offline. Most applications for open Texaco jobs online are handled through the primary Chevron career website, which allows you to search by location, job type, and description. It is a free application process, and you can apply to as many different jobs as you’d like, while the website saves which jobs you have applied to in the past. The only exception is for local entry-level Texaco jobs, which are not handled through the Chevron website. For these, you should ask a local manager where to apply online. Even for local jobs, it is still unlikely that you will be given a printable application for Texaco. The Texaco application process has been entirely digitized. Once you have submitted your Texaco job application online, if it is appropriate, you may be contacted to schedule an interview. Be sure to wear nice, appropriate clothing to interviews in order to make the right impression. It is not a bad idea to bring your resume printed on nice paper, just in case. Consider the questions above and formulate answers in advance so that you are not caught off guard. It is a good idea to rehearse them, but not to the point where they sound stilted or insincere. The interview will almost certainly end with a chance for you to ask questions – this is a good time to ask about confusing aspects of the job description, benefits, or anything you’re curious about regarding the company. Stay positive and friendly during your interview, and thank the interviewer for their time before you leave. If you have a contact e-mail, it is not a bad idea to send a follow-up email to reinforce your interest in the job and ask any questions you forgot to during the interview. Holiday Station: Checkout the application page for work at Holiday Station. Speedway: Visit the Speedway application. Travelcenters Of America: See our guide for careers at Travelcenters Of America. Circle K: See our guide for careers at Circle K.
Phillips 66: See our guide for careers at Phillips 66.